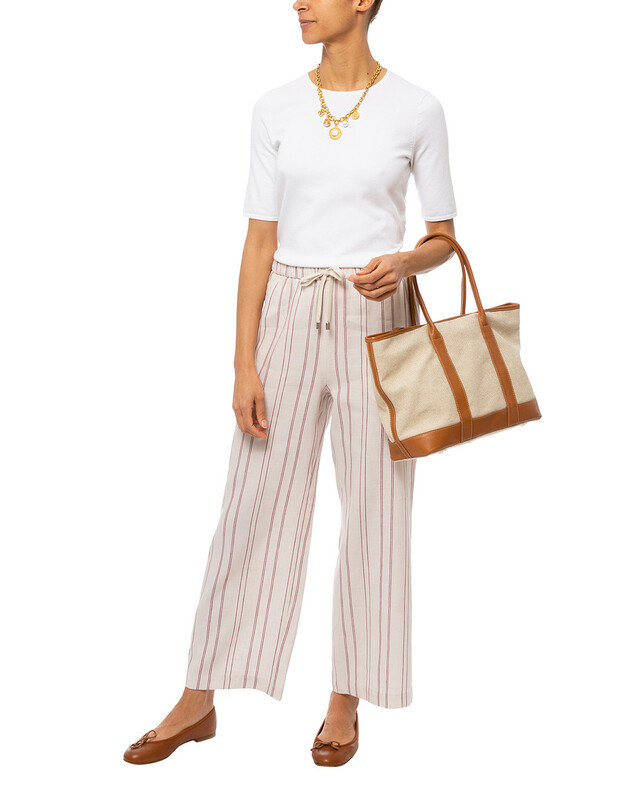 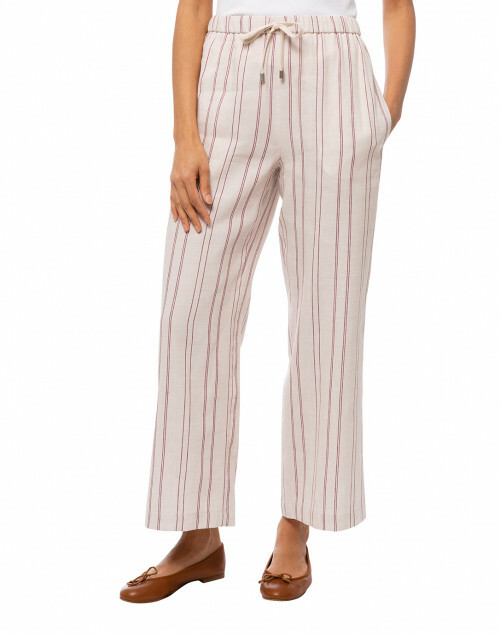 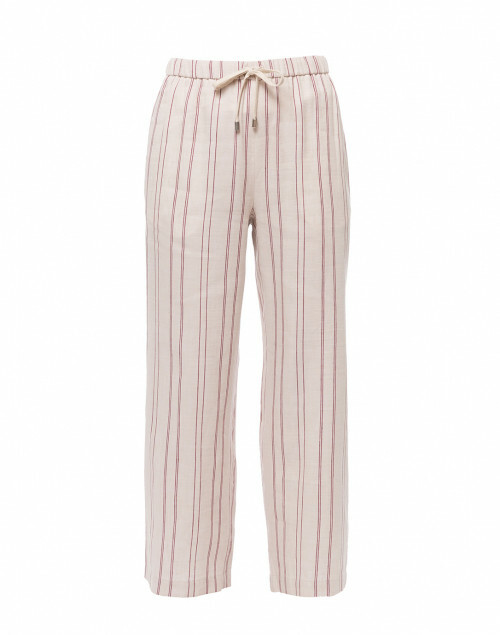 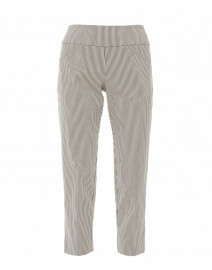 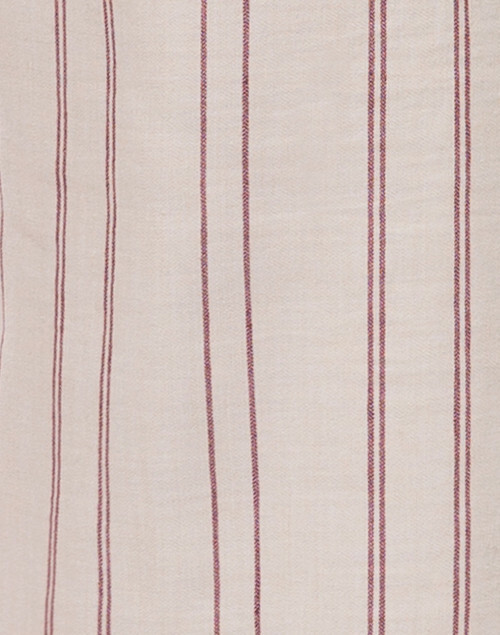 Crafted from a lightweight linen and cotton-blend, Weekend Max Mara’s striped Billy trousers are perfect for your warm weather getaway edit. 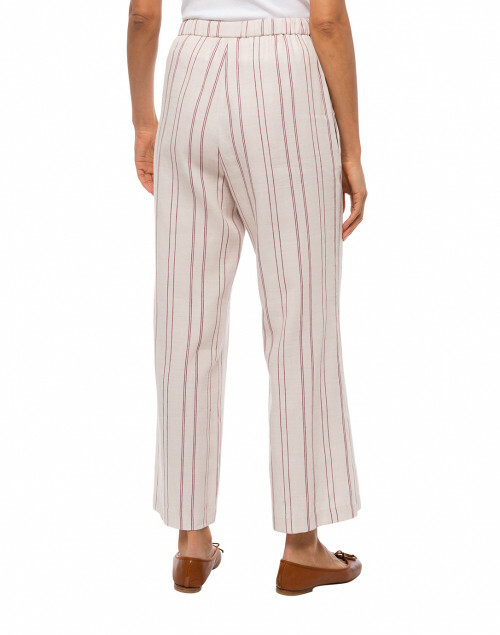 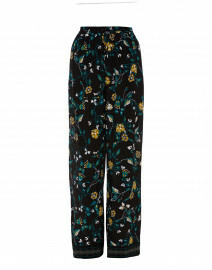 They are shaped with a mid-rise elasticated drawstring waist, wide straight-cut legs and two front inseam pockets. 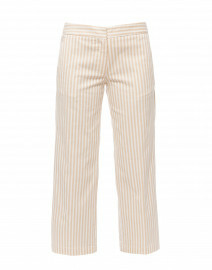 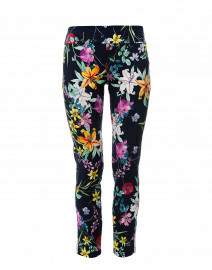 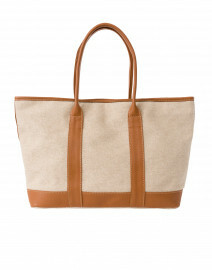 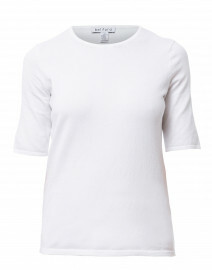 Pair them with a cotton top and a canvas tote for a relaxed and elegant summer look. 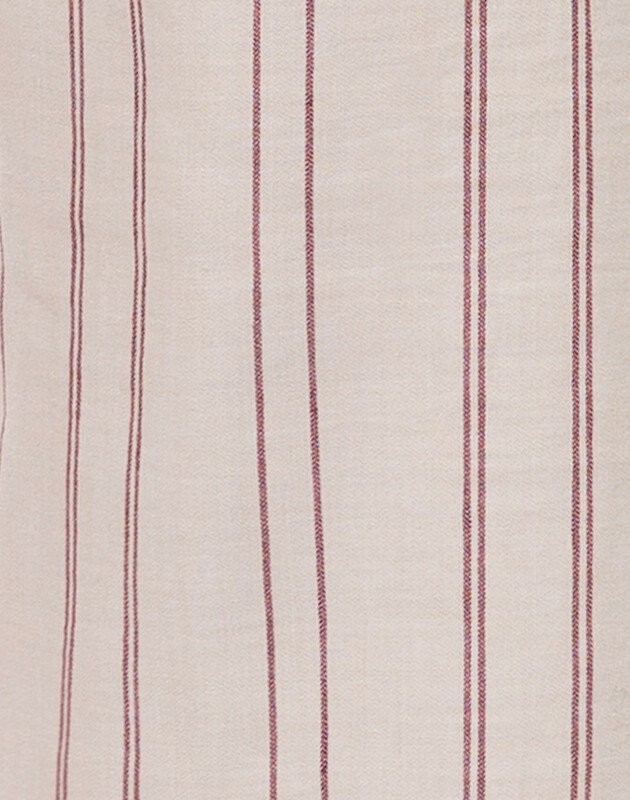 Front Rise 10.5" 10.5" 11" 11" 11" 11"
Back Rise 15" 15" 15" 15" 15" 15"
Inseam 28" 28" 28" 28" 28" 28"
Leg Opening 22" 22" 23" 24" 24" 25"